There is one Thanksgiving I will never forget. It was twenty years ago today and my beloved Blue Jays were battling the Oakland Athletics for the American League crown. We were up in the series 2-1 with game four taking place at Oakland Coliseum. Jack Morris started and stunk up the joint. We were down 6-1 when the turkey was served and we all joined the table in the dining room leaving the television on in the family room just in case. Throughout the meal, I would peek at the set just in case there was any sign of a big comeback. Entering the eighth inning down by five, it didn't look like a Thanksgiving miracle was possible. A three run eighth gave us hope. Still, down by two in the ninth with Cy Young winner Dennis Eckersley on the mound, we weren't overly optimistic. When Roberto Alomar got to the plate with a runner on, my eyes remained focused on the television. Alomar didn't disappoint. He took Eckersley deep, tied the game and ignited a massive pile on in the family room as we literally leapt from the dining room table in pure ecstasy. The come back was complete and we'd end up winning the game in twelve to take a commanding lead in the series we wouldn't give up. Alomar was named ALCS MVP and a couple of weeks later we'd win our first World Series title. I remember that game vividly if only because Dennis Eckersley was Freddie Kreuger and Darth Vader all rolled into one. Up until that point he owned the Jays and was essentially automatic when coming in for the save. 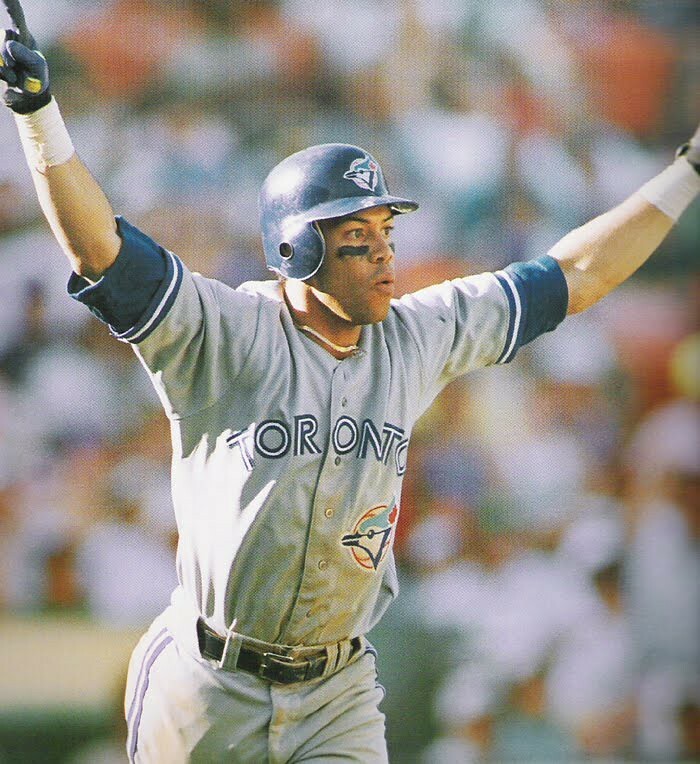 Alomar getting a hold of that pitch and then raising his arms right in the batters box...It was like the ghosts of all the playoff disappointments past were execrised. I didn't even stress the Game 5 loss...we were going to win. Can't believe that was 20 years ago. I agree 100%. Robbie's hit was the one that changed the course of this team. Most important hit in Blue Jays history. Without it, I don't believe Joe has a chance to hit his walk-off. I was there....it was electric! I remember that one well. I was at my sister's house for Thanksgiving and we were watching it while getting semi-pissed on white wine. We were both gobsmacked at watching Eck come completely unraveled. I was only 3 during that time, though my dad still talks about it like it was yesterday, especially at the state of the Jay's today. Glory days! I remeber watching that game at the cottage at the table and thinking, "Looks good on you Eckersly you arrogant prick!"